Happy Friday, everyone! I was not ready to get back into the swing of things after the holidays so I'm excited it's Friday, ya feel me? Ready to relax and stay out of the cold as much as possible! 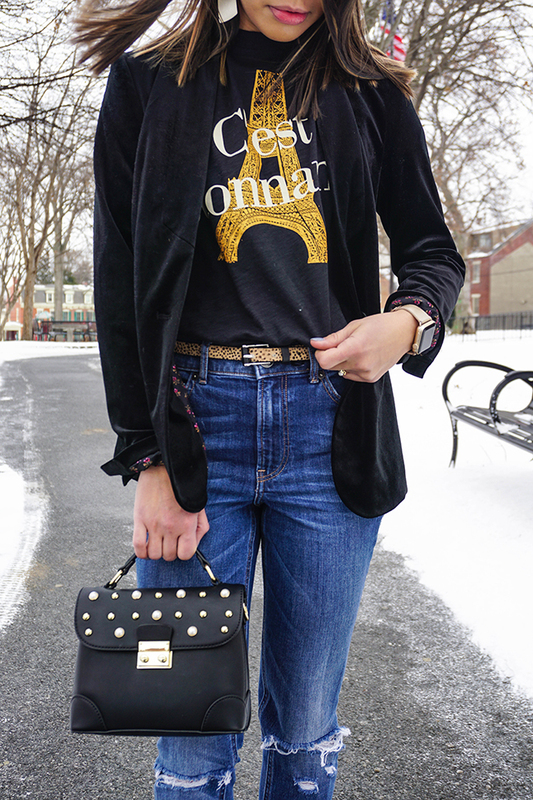 Today on the blog I wanted to share how I dress up an item that's been taking over my wardrobe lately--graphic tees. For awhile I would always use my tees for casual looks, but one of my goals for this year is to go outside my comfort zone when it comes to fashion so I decided to try something new! Back in November I did a post where I styled a graphic tee with some heels and blue dress pants and I loved the way it turned out, so I figured I'd try something new with another graphic tee. 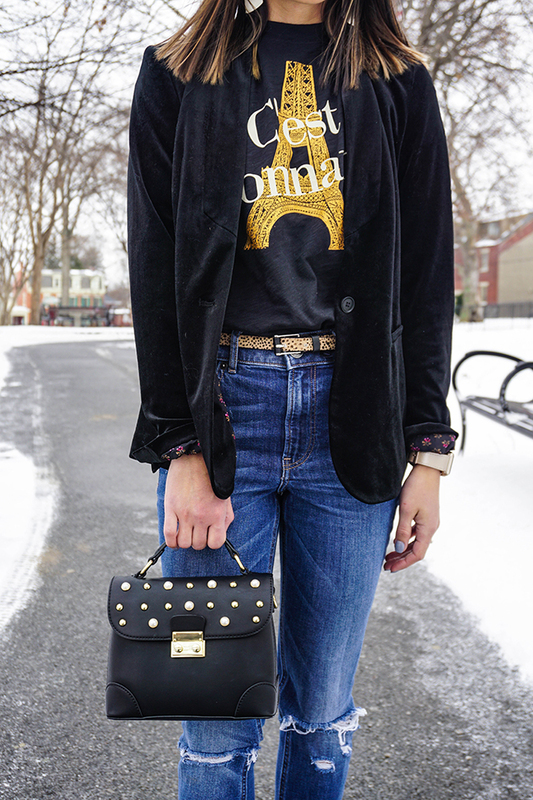 Ever since I purchased this velvet blazer I've been dying to style it with more than my NYE outfit. I already had this tee picked out with a pair of jeans so I decided to grab the blazer and see how the entire look paired together. We can totally confirm that this outfit is super fun! I love the touch the booties gave it. The best thing about this look is it can be a good everyday outfit. You can opt the booties for a pair of flats for running some errands and switch over to heels for a girls night out or dinner date. Next time you stumble upon a graphic tee in your wardrobe, get a little fun with it!